Liberal backbenchers Fraser Ellis, Steve Murray, Dan Cregan and Nick McBride voting with the Labor Opposition after crossing the floor last year. Five months since the four MPs – who hail from rural or semi-rural electorates – voted with Labor and the crossbench to adjourn further debate on the Bill, negotiations have reached an “impasse”, according to MacKillop MP Nick McBride. Party sources now say they fear the Bill will “die” altogether, with van Holst Pellekaan’s department understood to have rejected a suite of compromises put forward in negotiations with the group of MPs. 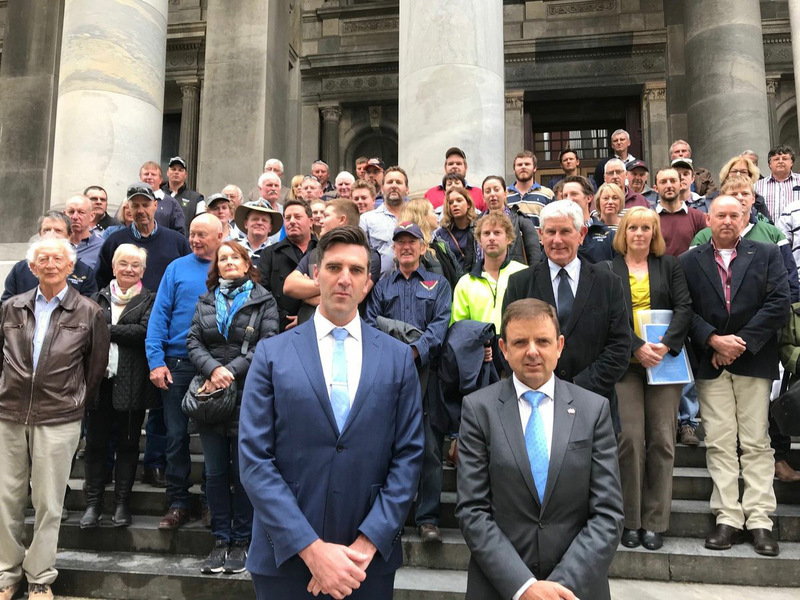 The Bill to amend the mining act follows a review by the former Labor Government, but conservative rural MPs are incensed that the Liberal version denies farmers a right of veto over mining exploration on their land. “One of the ironies is the only veto that appears to have been played is that of the department,” one insider told InDaily. McBride, a first-term MP who replaced former deputy leader Mitch Williams in the safe south-east seat, said the “whole mining Bill is back in the minister’s hands” after months of “respectful” discussion. “Negotiations have come to an impasse between the four of us and him,” he told InDaily today. The Bill was originally slated to return to parliament in February, with insiders privately hopeful they would reach a breakthrough when the party-room met for the annual Liberal ‘love-in’ early this year. But it’s understood while the Minister had accepted compromises put forward, his department has roundly rejected the changes. “We were hoping for a more fruitful or speedy passage for the Mining Bill,” McBride conceded. InDaily has sought comment from the Minister’s office. McBride denied there had been no progress, but conceded “it’s progressed but not with an outcome as yet”. Fellow first-termers Fraser Ellis, Steve Murray and Dan Cregan joined McBride in crossing the floor in November, while MLCs Terry Stephens and Dennis Hood were expected to do so if it reached the Upper House in the same form. The Bill is a sore point within the party, with Premier Steven Marshall having publicly declared he did not support farmers having a right of mining veto on freehold land. “I personally don’t support a right of veto… those resources belong to the people of SA, and from time to time you do need to make a decision to access those minerals on behalf of the people of SA,” he told InDaily in December, after he had personally intervened to try and resolve the standoff.